So-called patriots who engaged in gullible talk are responsible for the destruction caused to the country. Such patriots were responsible for killing certain individuals. 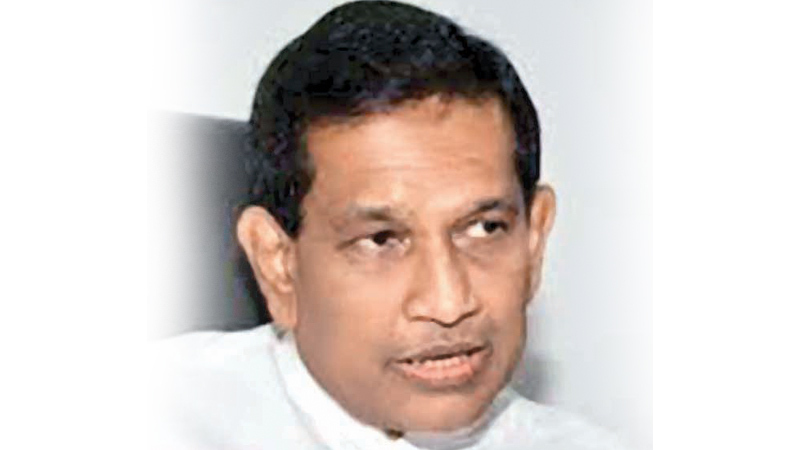 True patriots are those working for the development and welfare of the country, Health, Nutrition and Indigenous Medicine Minister Dr. Rajitha Senaratne said. The Minister was speaking at the opening of a medicinal drugs and cosmetics factory at Bata Ela, North Ja-Ela, on Saturday. This factory costing Rs. 600 million, established by a local firm, provides employment to 150 youth. This is the seventh such local drug and cosmetics production factory in Sri Lanka. Minister Dr. Senaratne said local investors were able to start factories in the country without hassle because he did not demand commissions or kickbacks. He met the chairman of the local factory for the first time during the opening ceremony. This factory will ensure the production of medicinal syrups locally. By the end of this year, the Ministry hoped to ensure the production of nearly 80 percent of the drugs needed by the country locally. The medical drugs produced by local factories would be much cheaper than the imported drugs, the Minister said. He said 73 types of medicinal drugs had been brought under price control so far. The prices of another 27 types of drugs would be brought under price control in future. A country could achieve development by improving education and health services. This was an accepted norm of even the World Bank which has provided US$ 200 million towards the development of primary health care and control of non-communicable diseases, he said. Another US$ 100 million would be provided in the future. Only a small coterie of businessmen was involved in drug imports, but the number of patients using medical drugs was enormous, the Minister said. He said when he held discussions with the medical chamber and medical equipment industrialists, they complained that they suffered losses due to the increase in the value of the dollar. When he asked them as to how they paid a 40 percent bonus to employees if the situation was that bad, there was silence. He faced similar obstacles when he redced the prices of drugs. He had successfully promoted the local production of drugs too disproving the arguments expressed by pessimists. SPMC Chairman Dr. Sayura Samarasundara, Managing Director P. Sundaralingam, General Manager Sujeewa Wijesundara, SPC Chairman Dr. M.H.M. Rumy and Diyatha Pharmaceuticals and Health Care (Private) Ltd Chairman Gayantha Dehiwatta and other company officials were present on the occasion.